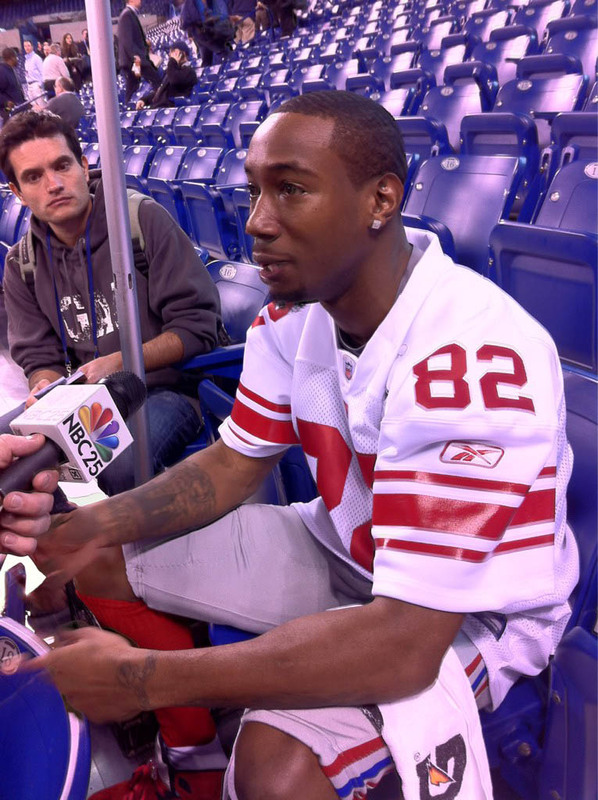 The Jordan Brand got a lot of love from the New York Giants on Media Day. 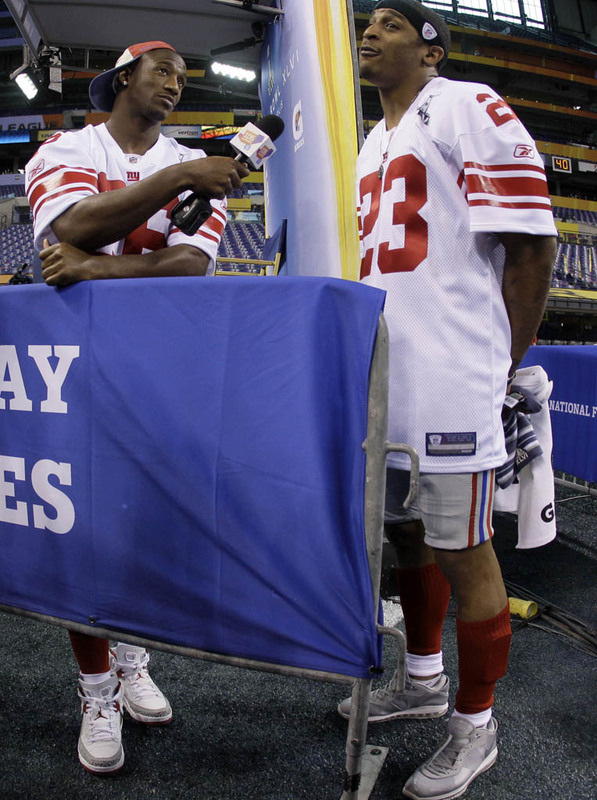 With Super Bowl XLVI kickoff now just days away, the New York Giants and New England Patriots took the field at Lucas Oil Stadium yesterday for the always popular Media Day. Reporters from outlets of all kinds swarmed the big game's participants, helping them enjoy the one-of-a-kind experience even more. With Media Day being more of a casual affair, players typically switch out their cleats for the more relaxed feel of sneakers. 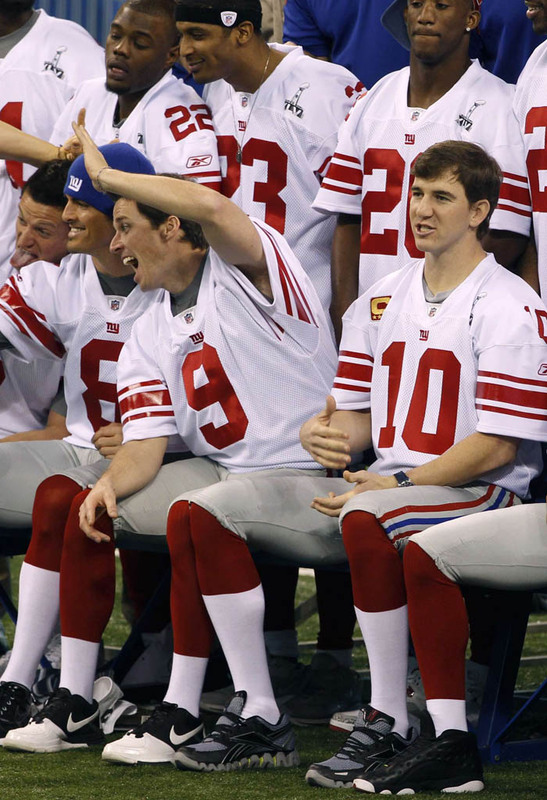 Read on for a look at what the New York Football Giants had on their feet yesterday. 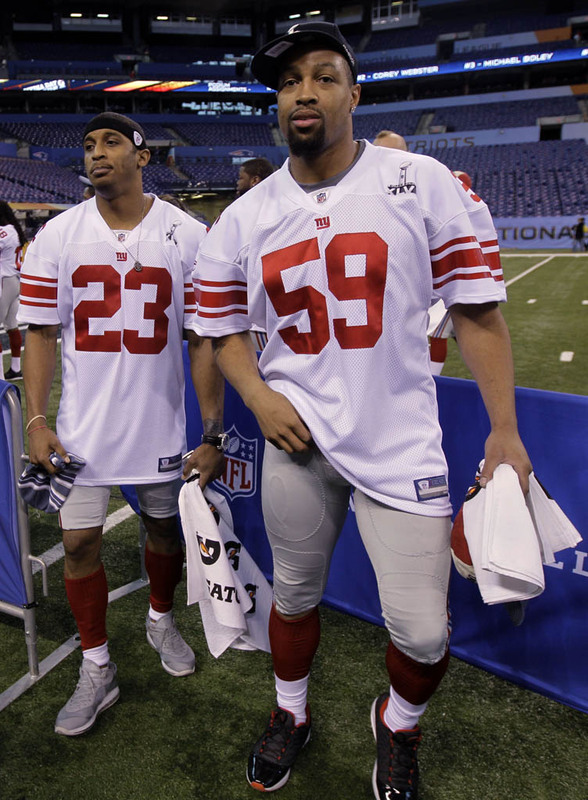 Antrel Rolle interviews teammate Corey Webster, wearing the "Fire Red" Jordan Spiz'ike and Nike LeBron 8 V/2 Low respectively. Michael Boley stops by in the Jordan CMFT Viz Air 13. 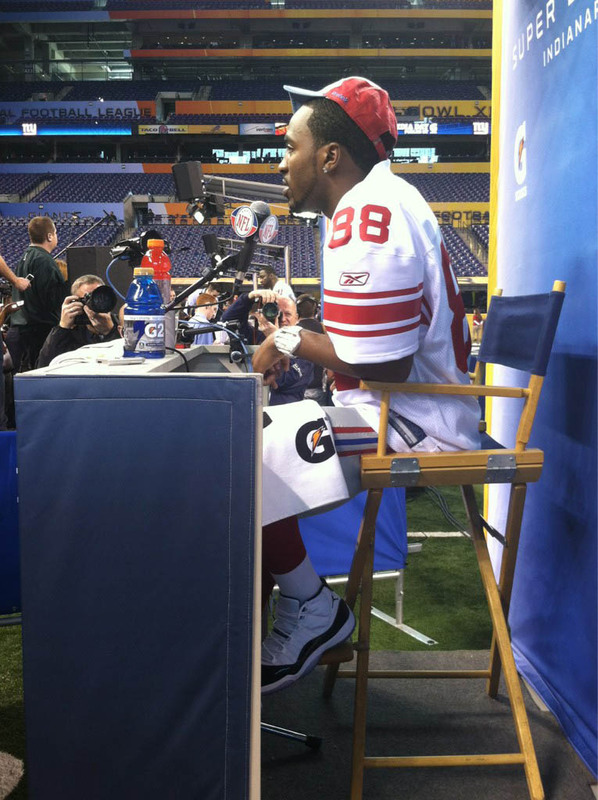 Hakeem Nicks takes questions in the "Concord" Air Jordan 11. 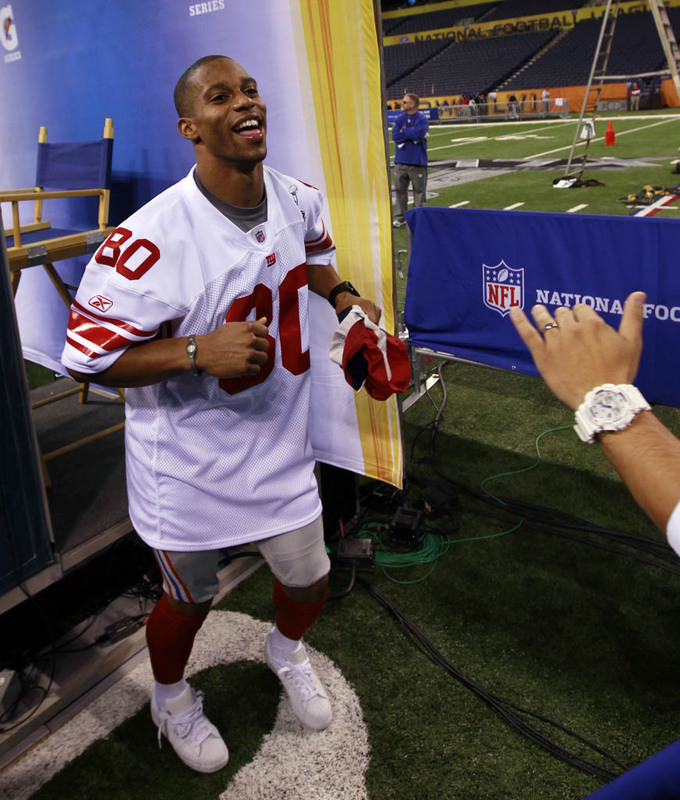 Victor Cruz salsas in the adidas Originals Superstar II. A peak at Mario Manningham's "Raging Bull" Air Jordan 5s. Jerrel Jernigan (12) wearing the "Playoff" Air Jordan 13; Ramses Barden in the "Chicago" Air Jordan 10. 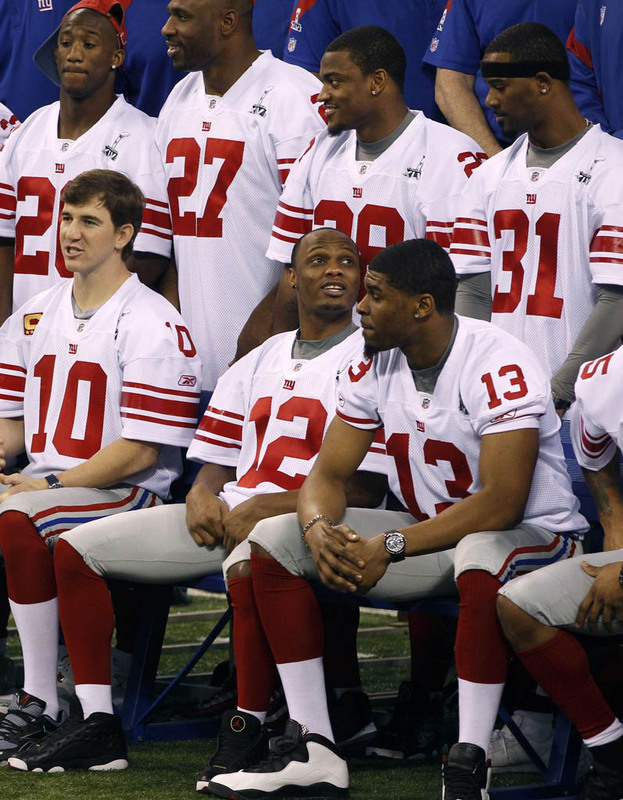 Eli Manning wearing Reebok Premier Zig Blaze; Lawrence Tynes in the Nike Air Trainer 1.3. 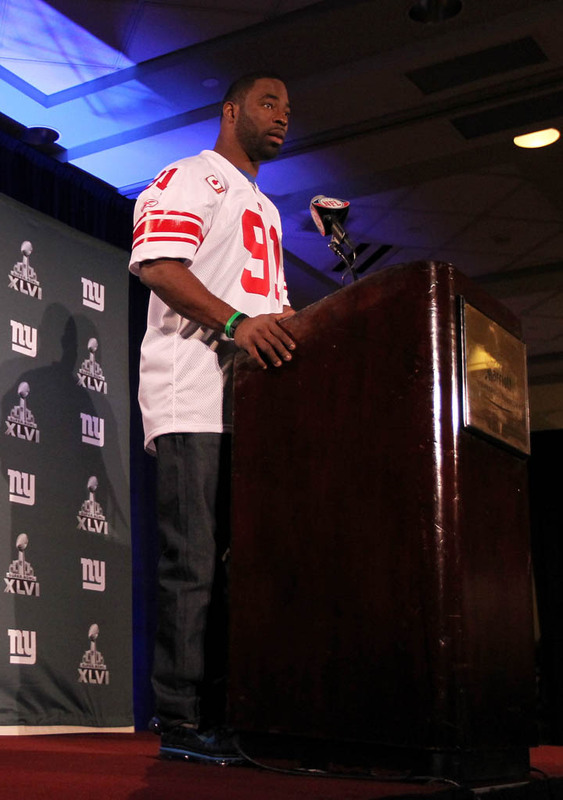 Justin Tuck takes questions at the podium in the Nike Air Max 2011. 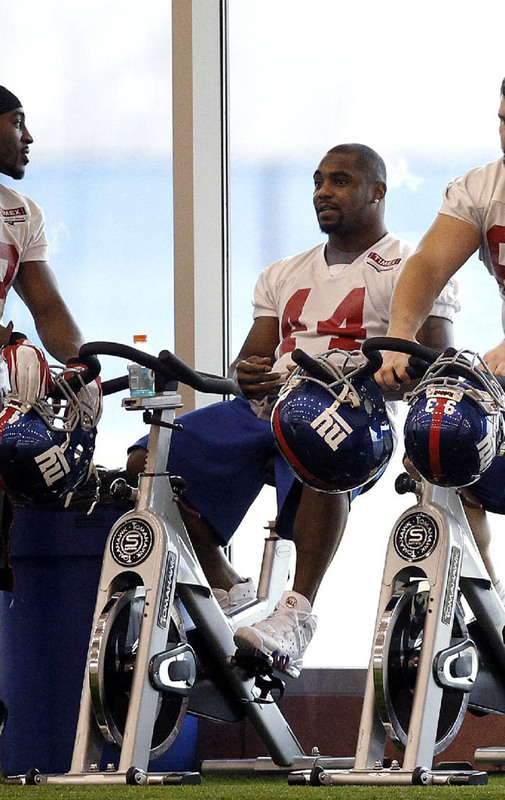 Ahmad Bradshaw loosening up in the Nike Air Max 2 CB '94. 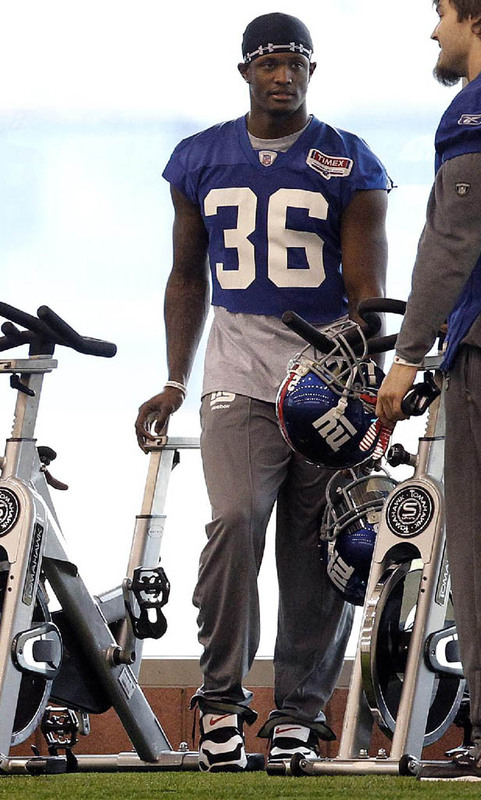 Will Blackmon training in the Nike Air Diamond Turf.